Southern California is home to many wonderful authors, bookstores, and literary events. Because I live here, I want to explore all there is to offer. Therefore, I am introducing a new feature...So Cal Lit Scene. If you are a bookstore in the Southern California area and would like to be featured on my blog (including a visit by me!) please feel free to contact me! If you are a Southern California area author and would like to be interviewed and featured, please contact me! If you coordinate a literary event in Southern California, and want to spread the word, please contact me! 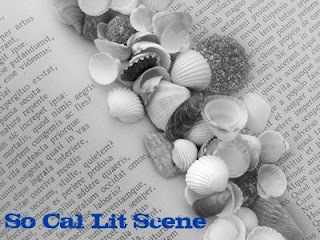 So Cal Lit Scene will cover anything and everything literary in Southern California. Fantastic idea, Amy! Great timing, too, with the LA Times Festival of Books coming up next month. As a fellow SoCal resident, I'll look forward to your features. I'll mention this in my "Saturday Review" link roundup this week. A great idea indeed! Always good to support local authors and bookstores.